Targeted 70 – 80 feet of water for whitefish last weekend. Ice thickness is over 3ft! It was cold but we stayed warm in our heated shacks. Drop shot rigs and a gold swedish pimple with purple jig produced the best results. If you are interested in late season walleye, we still have a few openings in March. Thanks to everyone that has joined us on the ice this season. comfortable. The walleye bite has slowed considerably but with forecasted warmer temps around the corner we expect this bite to improve thru the remainder of Feb till March. Fishing for Whitefish is improving and we can get to almost all of our preferred spots. We got some nice fish this weekend it seemed early day was better. This is one of the earliest ice seasons we have seen with solid ice and not too much shove ice. 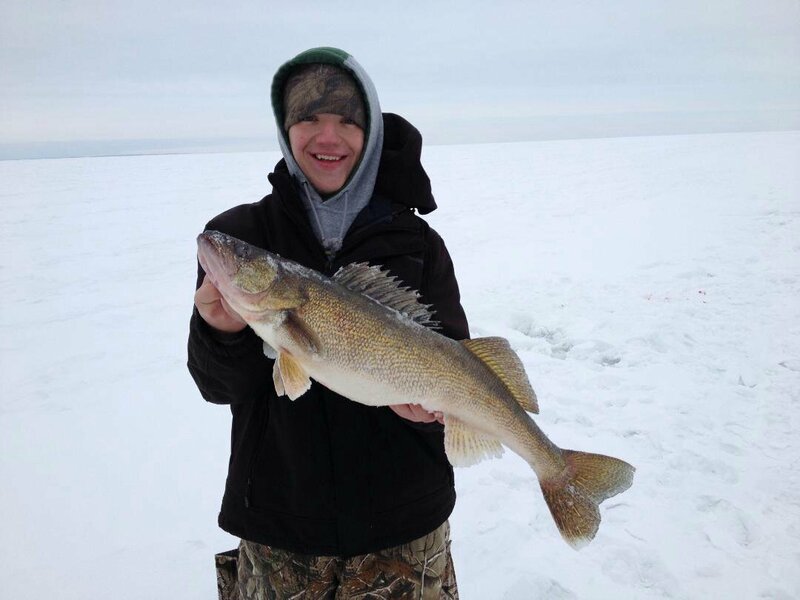 We continue to have good walleye action. The Perch have slowed somewhat but fish are still available to be caught.